The word halcyon is an adjective that denotes a time period that was idyllically happy and peaceful. This type of setting is exactly what Monte Hewett Homes is creating at Halcyon, a mixed-use, master-planned community in South Forsyth County located at 1400 McFarland Parkway in Alpharetta. 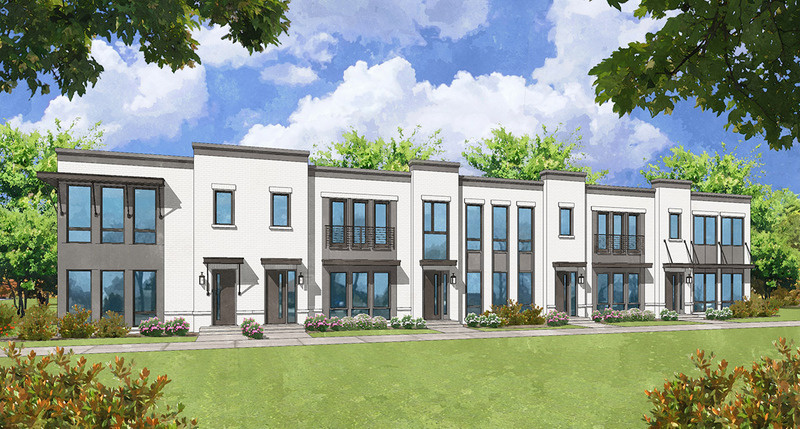 Interest in this community is high with the first few townhomes already under contract! This is likely due to the overall vision for the neighborhood. The 135-acre community offers restaurants, shopping, public art, creative loft offices, two modern hotels and beautiful residences. Halcyon connects to Forsyth County’s BeltLine-like Big Creek Greenway and includes a community pool and clubhouse as well as about 50 acres of its own greenspace. An abundance of walking trails and paved pathways wind through the community to connect people and places. Monte Hewett Homes is building Village Homes and Townhomes at Halcyon, and construction is now underway. When complete, there will be 62 homes total – half single-family and half townhomes. Homebuyers are going to love the home styles which are reminiscent of farmhouses and the townhomes which showcase a sleek modern look. 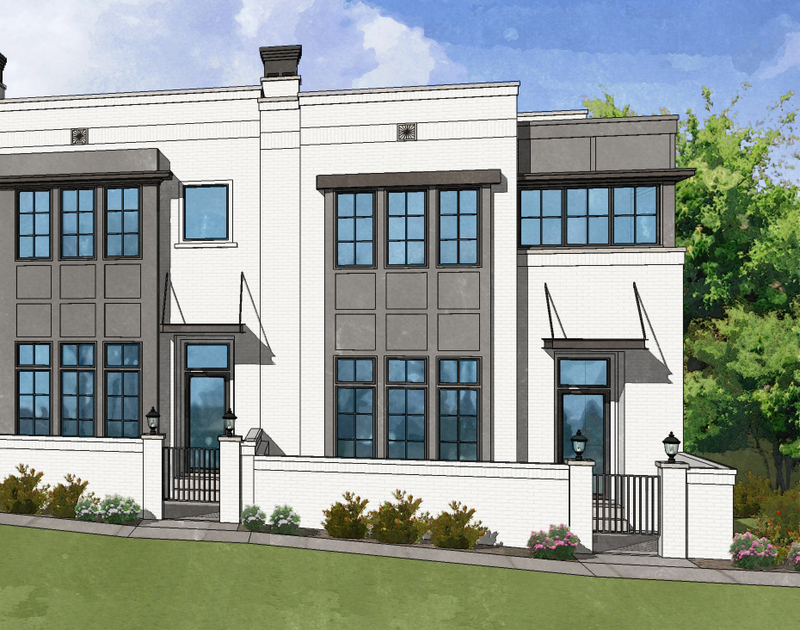 Four townhome plans are available offering a blend of contemporary and old-school elements. With 2,630 to 2,765 square feet of living space, these homes offer three bedrooms and two-and-a-half bathrooms. Priced from $619,900 to $709,900, several townhomes will be move-in ready by fall. The single-family Village Homes include four different home plans that range from 3,305 to 3,365 square feet. These large homes are designed to be livable with a choice of three bedrooms and three-and-a-half baths up to four bedrooms with four-and-a-half baths. Priced from $829,900 to $839,900, several of these homes will be available for fall move-in as well. Interested buyers can contact one of the Monte Hewett Homes’ agents: Terry Fogarty at 678-558-0361 or Terry.Fogarty@MHHomes.com or Jayme Brundidge at 402-210-8066 or Jayme.Brundidge@MHHomes.com. The retail component of Halcyon is nearly 500,000 square feet of retail and office space, as well as two hotels, more than 600 more residential units and a dine-in movie theater. Atlanta favorites such as Butcher & Brew, Kilwins, Popbar, Sweet Tuna, TOCAYO, CMX Theatres, Dogtopia and RBM of Alpharetta Mercedes-Benz Experience Center will all be walkable options for Halycon residents.